A Tasty Mediterranean Spread great on just about anything savory.. Combine all ingredients in a food processor and blend to a paste. store in refrigerator. 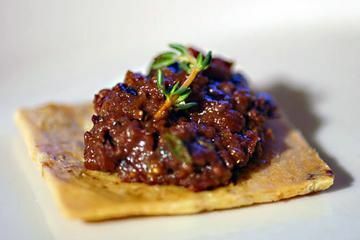 The addition of Mayonnaise makes this Tapenade very versatile: Crostini,Panini,Sandwiches,Fish, Steak etc.. I make All sorts of Tapenade variations. The recipe here is a very good basic recipe.